This is my first Iron Cupcakes: Earth challenge! Wooh! Imagine my surprise when I checked the site and saw that the theme was HERBS. 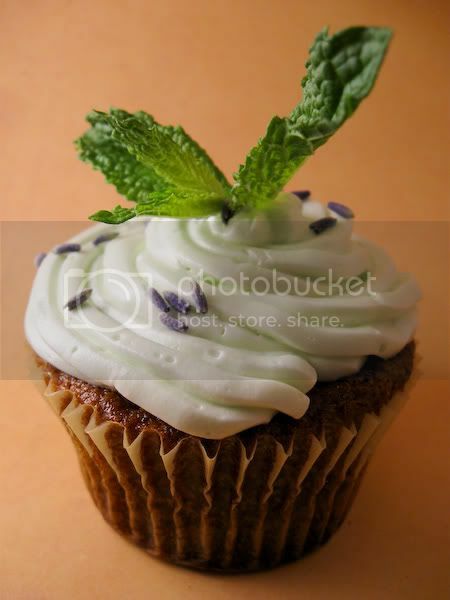 After MUCH thought, I decided on a lavender cupcake with mint buttercream. Now let's take a break for station identification. I mean, now here's a word from our sponsors. Whew. Now on to the fun stuff. Combine and mix. Hehe. My favorite cake recipes require very little direction. Fill tin 3/4 of the way with batter. Cook until they pass the FABLED CRUMB TEST. Let cool for 10 minutes, then remove from tin and let cook on wire racks. BOIL IT ALL. BOIL IT. For about 10 minutes. 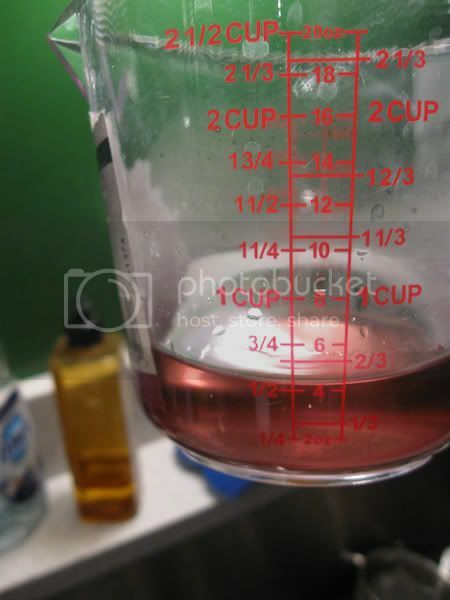 Then, pour it all into a container and let sit in the fridge overnight. 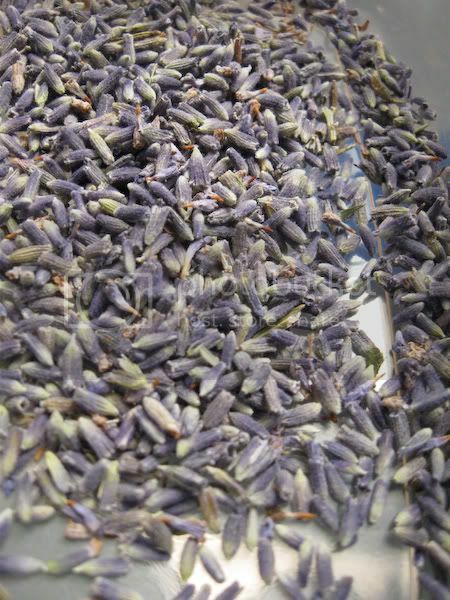 Strain out the lavender and store in a bottle/jar/whatever in the fridge. Replace the chocolate with mint syrup (made the same way as the lavender kind) or mint extract. Your cupcakes look great! The lavender syrup sounds so good. I have to try that. I tried something similar last week. I might upload it soon to my blog but it was a semi-disaster. I like your icing better than mine. I can't seem to make perfect cupcakes. I guess it's all trial and error. Oh it definitely is trial and error. I've made so many flat-topped, gooey-middled, downright WRONG cupcakes, it's not even funny. Oh, these are so pretty. 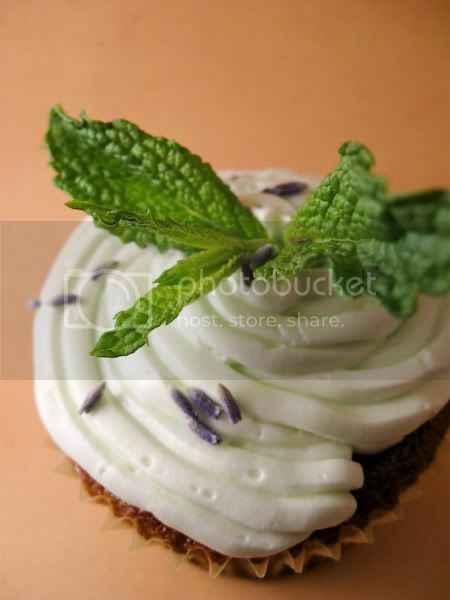 I love how beautiful the little flecks of lavender look on the frosting. Nice job!